Enjoy nature! Sights of the Trinity River Corridor! Mitotiliztli Yaoyollohtli wow crowds indoors or out. 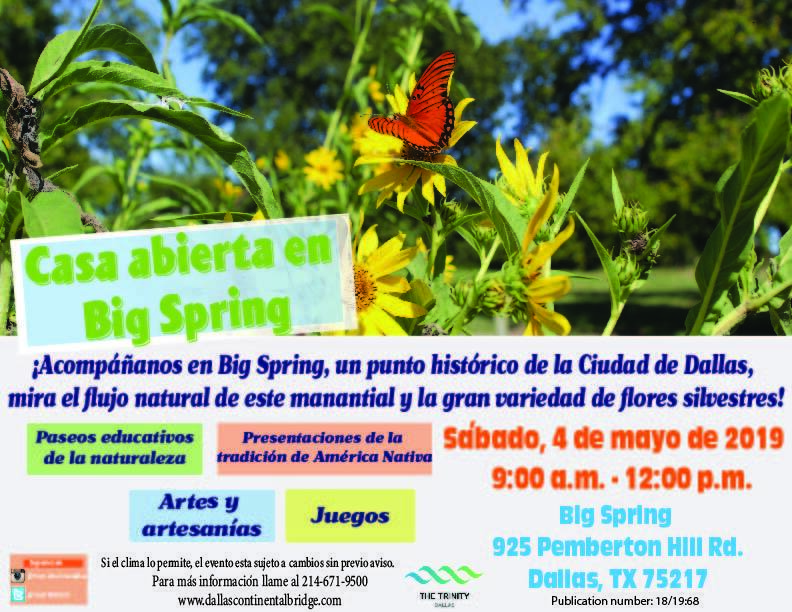 Sights and sounds of Big Spring! This water's journey began in 1418. Amazing Big Spring flowing water. City of Dallas historic landmark. Contest winners view the 63 winning images. At Jannette Kennedy Gallery. Next steps, judging of 2018 photos! 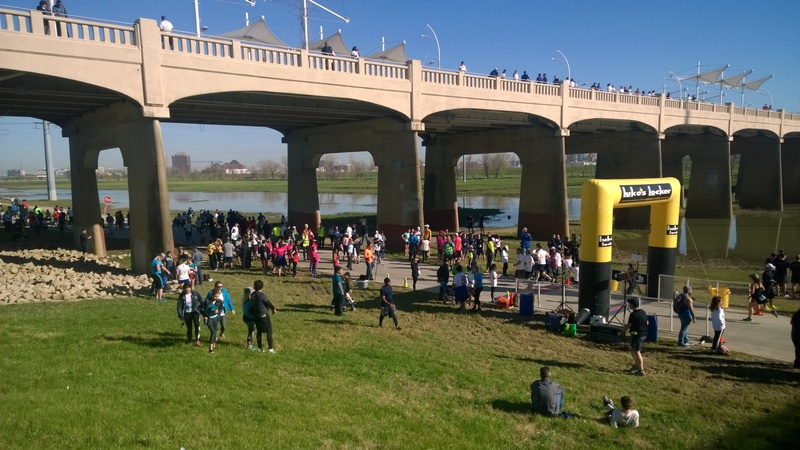 Trinity River Photo Contest - 10 Years! The vibrancy of a little bird. 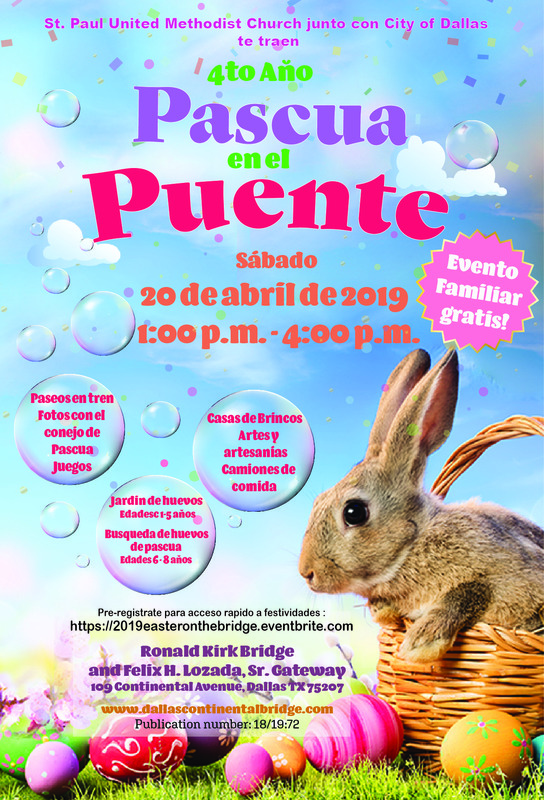 Celebrate Easter on Bridge on Saturday, April 20, 2019 from 1:00 p.m. - 4:00 p.m. 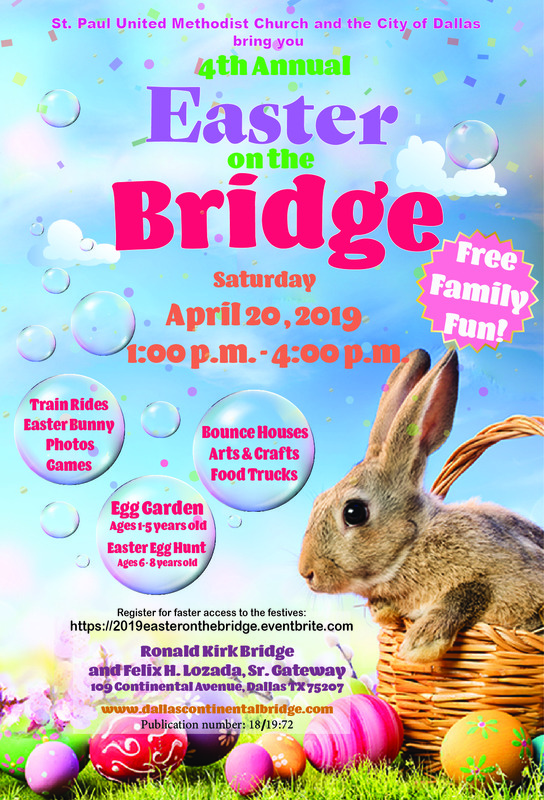 This family friendly event includes train rides, photos with the Easter Bunny, games, bounce houses, arts and crafts and much more. For more information call 214-671-9500. Join us for the Movie Night series on the Trinity River Corridor. 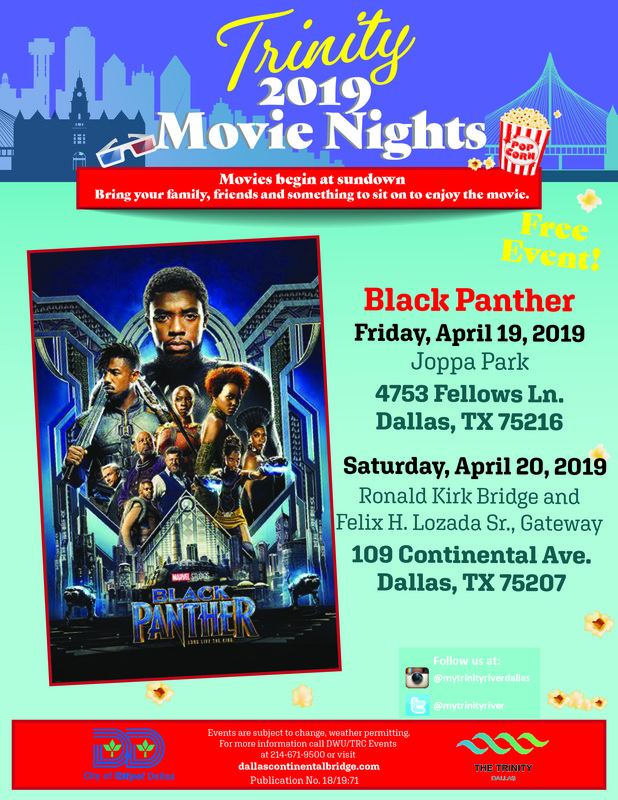 This month we will feature Black Panther at two locations. 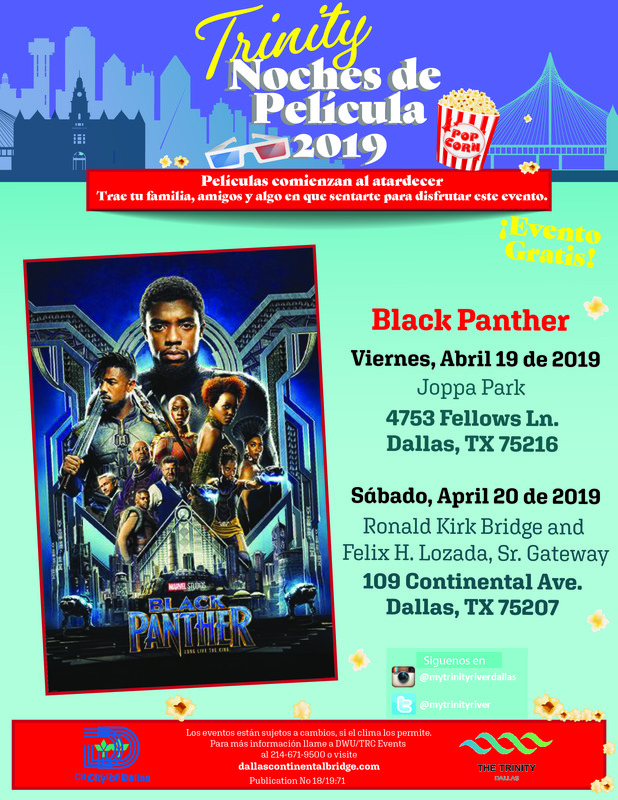 The public can enjoy the movie on Friday, April 19 at the Joppa Preserve at 4753 Fellow Lane, 75216 and on Saturday, April 20 at the Ronald Kirk Bridge and Felix H. Lozada, Sr. Gateway at 109 Continental Avenue, 75207. Movies begin at sundown at both locations. Bring your family and friends and something to sit on to enjoy this FREE event. For more information on this event please call 214-671-9500. 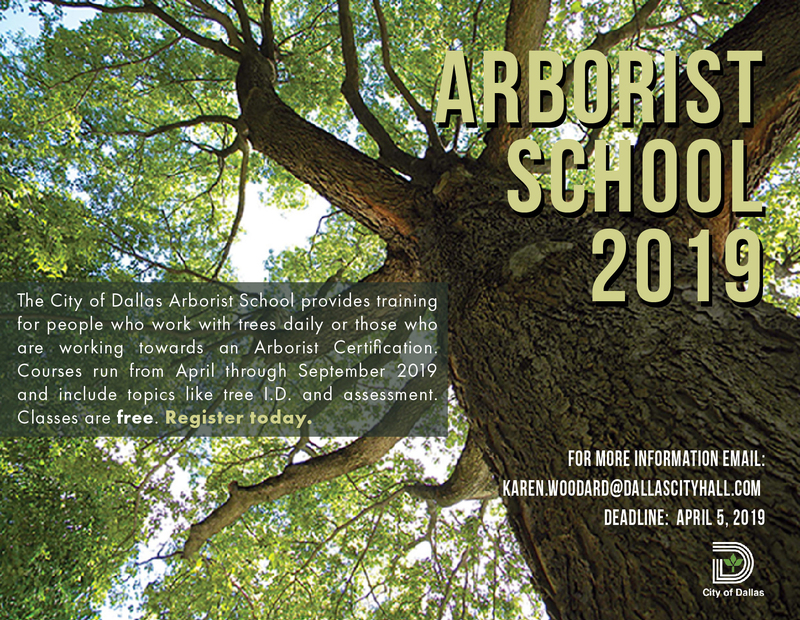 Are you interested in learning about trees. Some of the classes the City is offering include basic botany, plant physiology, tree ID, proper pruning, planting and much more topics. Please see information below for more details on classes and registration. 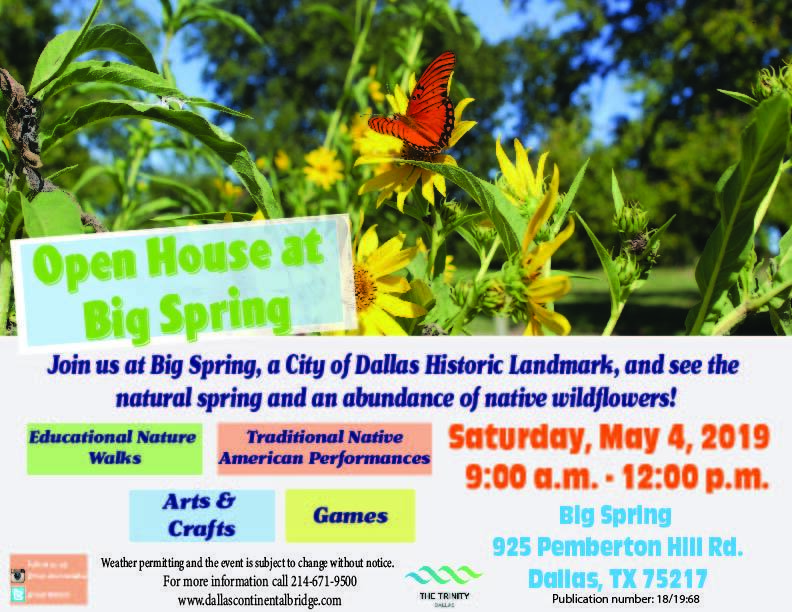 Come enjoy the outdoors while you visit Big Spring, a City of Dallas historic landmark. The event will inlcude educational nature walks, traditonal Native American performances, game, arts and crafts. For more information call 214-671-9500.